Seriously one of my favorite dresses ever! I'm so happy how easy it is to layer it up during the cold weather as well. This scarf actually used to be the bottom of a skirt but I cut the skirt shorter and tada! The bottom of the skirt is now a pretty scarf :) I'm pretty in love with this little boots I found while thrifting. Even though they are a tad bit too small...I just fight through the temporary pain. Check out my shop, adding new items! 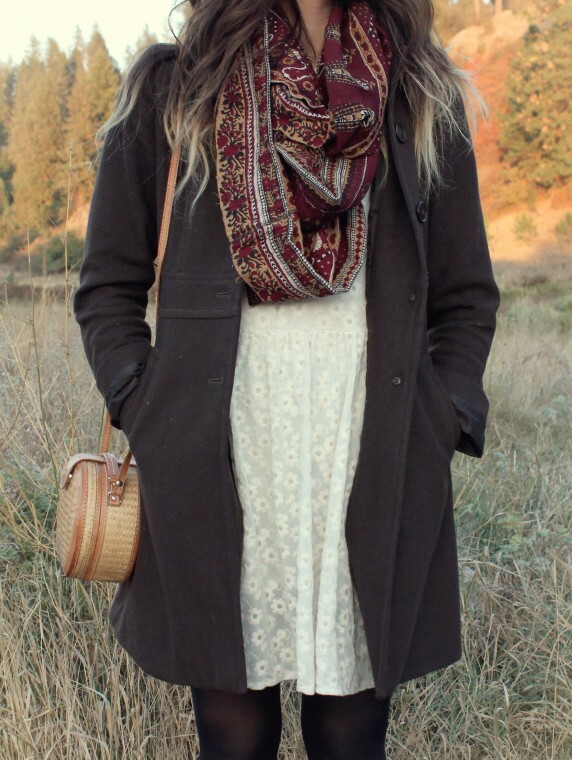 Very beautiful scarf and coat! I remember when you styled that dress back a few months for summertime! I have to say, I like it better styled for fall. 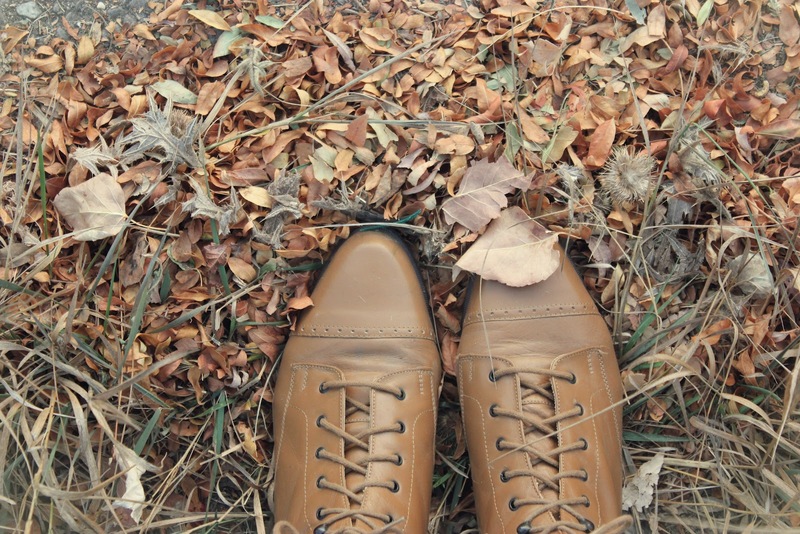 But I'm bias, because I am just obsessed with layering :) LOVE the neutral, fall-y colors you paired it with! That brown coat is too perfect. Again a very pretty outfit! Such a cute outfit, love the scarf with the white dress! 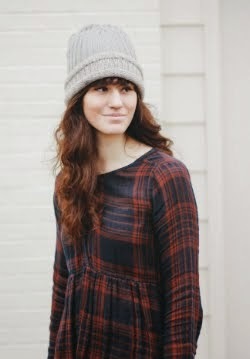 that dress is such a good layering piece! it was worth it. : ) and love the coat! LOVE this look! Great Blog! Thanks for the inspiration!!! This outfit is really beautiful, i love the colors, the shoes, really cute. This is a lovely outfit! Perfect way to take a sort of summery dress and layer it up for fall. i love the print on your scarf! i was drooling over how pretty that scarf was and thinking how i need to be on the lookout thrifting but that is extra awesome it's from a skirt! did you hem the edges or just leave it as is? you look gorgeous and I love the neutrals w/ that scarf. amazing scenery too! It's from free people but it was a couple years ago!